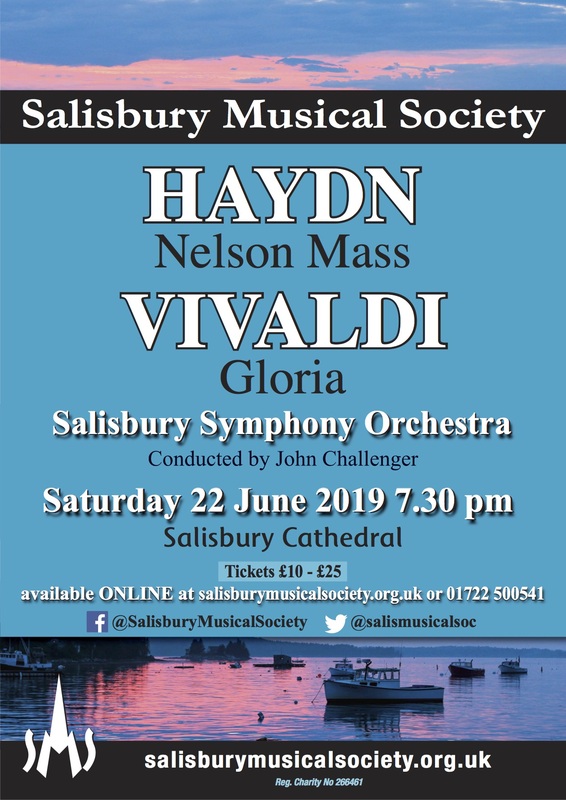 Salisbury Musical Society is very fortunate to have some of the most talented musicians in Salisbury to rehearse and conduct us for all our concerts. David Halls became our conductor in 1993. He graduated in Music from Worcester College, Oxford where he was an Organ Scholar. 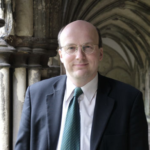 He moved to Salisbury in 1985 where he became Assistant Organist at Salisbury Cathedral and Director of Music at The Cathedral School. 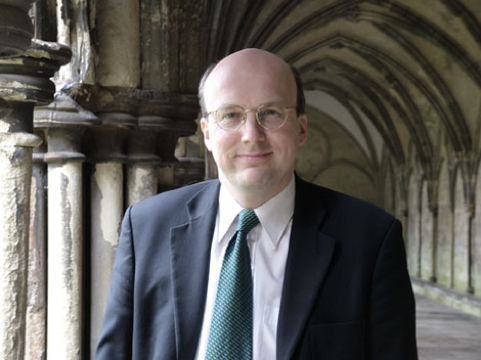 He was appointed Director of Music at Salisbury Cathedral in September 2005. In addition to his daily duties in the cathedral, he has toured Europe and the USA with the cathedral choirs and has appeared as conductor, accompanist and soloist in many concerts and recordings. He is active as a composer with many choral and organ works published in the UK and USA. David is a member of the Salisbury Diocesan Choral Festival Group, regularly conducting Diocesan Choir Festivals and is an Organ Consultant to the Diocese of Salisbury. As well as Salisbury Musical Society, David conducts the Salisbury Symphony Orchestra who perform with us annually. John Challenger was appointed our assistant conductor from January 2018. 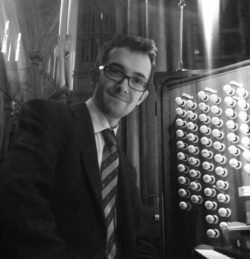 He has been Assistant Director of Music at Salisbury Cathedral since September 2012, where he accompanies the Cathedral’s liturgy on the great Father Willis Organ. He received his musical education as a chorister at Hereford Cathedral, and as an Organ Scholar at St George’s Chapel, Windsor and St John’s College, Cambridge. Between January and March 2017, John acted as Director of Music at St John’s College, Cambridge, during the sabbatical of the College’s full-time Director of Music, Andrew Nethsingha. During this time, the world-famous choir undertook numerous high-profile engagements, including a BBC Radio 3 live broadcast of Choral Evensong on Ash Wednesday. In addition to supporting David, John will conduct our summer concerts in the Cathedral. Peter Grove has been our accompanist since David Halls became our conductor in 1993. Peter has been a member of the choir since 1971 where he sang tenor. He was affectionately known by some of his colleagues as “the note” because of his extraordinary ability to pitch any note on request. Any choir that aspires to the highest standards needs an accompanist of the highest quality and Peter fits that bill for us. He is a concert pianist in his own right, having performed with Salisbury Symphony Orchestra and we are very fortunate to have him as our accompanist. Not only does he have the capacity to play all the right notes at the right time and in the right order, he also has the uncanny ability to anticipate what the conductor wants! His knowledge of classical music and the classical music scene leads to some enlightening repartee between him and the conductor. Peter will often play continuo for us in concert, or occasionally be let loose in the percussion section. When not required for these duties he now joins the choir as a first bass. Dr Richard Seal is our Conductor Emeritus. Richard was Organist and Choirmaster at Salisbury Cathedral from 1960 to 1995 and during that time was also conductor of the Salisbury Musical Society and the Salisbury Orchestral Society (now Salisbury Symphony Orchestra). Richard retired from Salisbury Musical Society duties in 1993 and to honour his service to the choir he was appointed Conductor Emeritus.